Today started at Keisen University in Tama, which is a women’s only University. The university was surrounded by green scenery, and a big tower in the middle had bells that were ringing and a cross over the bells. We had an introduction and got to meet some of the student in small groups. We then went to the university’s chapel, where we heard a song from Bach being played on the organ, and got to know a little about the university’s history as well. We then got a small tour around outside of the university in groups. Everything was so pretty! We gathered together and collected herbs to make tea. My group got some different lemon herbs. Our tea didn’t taste of that much, but it was still fun, and we got to know the Japanese students in our group better. We were supposed to go dance in a gymnasium after that, but didn’t have time, so we quickly put on some music, and danced Soran Bushi where we were standing. It was a little chaotic and crowded, but very fun! I love dancing kind of silly dances. We then went to the cafeteria to eat the bento our host families had made. I found out they were selling matcha ice cream there, so of course I had to buy some. After the University we went to Tsurumaki elementary school. 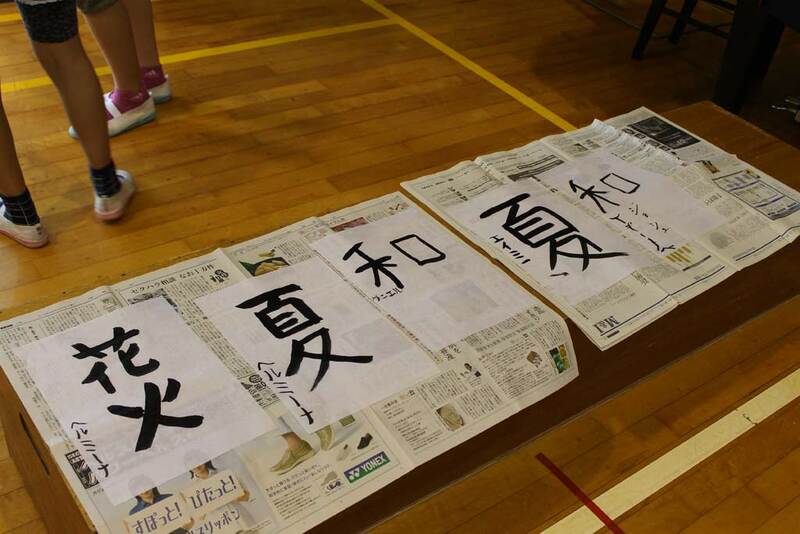 We played a lot of fun children’s games, trivia, calligraphy and they also sang for us. 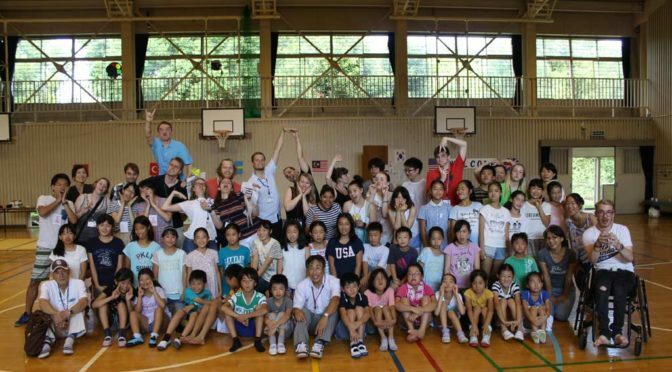 It was a very fun experience, though it was very hot and humid in the gymnasium, with so many people running around. We ended the day with a short meeting as usually, and we also shortly practiced our country presentation for Wednesday, and talked about our plans for our personal day tomorrow. I’m going to Yokohama with a group. All in all it has been a very busy, but fun day, where I got to talk to a lot of different people. I ended the day with a relaxing evening with my host family, eating delicious food, and of course more matcha ice cream for dessert!